In Mark’s Gospel, in particular, the healing ministry of Jesus is presented as the primary way in which Jesus proclaims or enacts the kingdom of God. In fact, Mark includes remarkably little of Jesus’ teaching compared to the other gospels. For many in our time, the stories of Jesus healing people pose a number of questions and cause a good deal of skepticism. That’s not really surprising, given the fact that the healings of which the gospels speak lie outside the experience of most of us. Still, we continue to read of documented cases of “spontaneous healing” today that remain unexplained, and leave doctors perplexed. It is not my purpose here to try to explain these occurances, either in our time or in Jesus’. What is important, I think, is to take the gospels seriously, and to recognize that the sheer number of stories they include about Jesus healing people points to something that he was known for and to something that he considered central to his mission. Rather than getting caught up in trying to explain these healings, we should instead explore how they function as part of Jesus’ proclamation of the kingdom of God. For the most part, I think we have misunderstood what the healings Jesus performed mean. If we take seriously the idea that Jesus both enacted and taught about the kingdom parabolically, then we cannot simply be content with remaining on the surface of these healing stories. The most obvious interpretation is not the deepest, truest interpretation when we are dealing with parables. As Jesus suggests when he says, “Let anyone with ears to hear listen”, we must apply a certain quality of awareness to these healings to better understand what Jesus is pointing to by them. A key to accessing this deeper level of meaning is to understand some of the dynamics of illness that were operative in Jesus’ time. In her paper, *Shame and Illness: A Jewish Perspective*, Dr. Michelle Friedman, a Jewish physician, writes about ancient Jewish attitudes towards the sick. “In a divinely ordered and ultimately just universe, sickness must be determined by God. Mankind seeks to understand the scales of God’s judgment and interprets infliction of maladies as punishment for wrongdoing. In this view, illness becomes a public sign of sin, a visible stigmata of shame. Shame is a powerful operative dynamic in Jewish tradition where individual personal and religious destiny can only be truly fulfilled through membership in the larger units of family, tribe, and nation. The concept of individual salvation plays a much less dominant role in Judaism as compared with Christianity. Shame relies on group context. Shame sanctions figure significantly in classical Jewish texts. For example, Levirate marriage, outlined in Deuteronomy 25:5-10 requires that a widow spit in the face of the brother-in-law who rejects her as a wife. His refusal to redeem her plight as a childless widow sentences her to low social and economic status. Hence, he too must share the burden of shame.” Dr. Friedman cites a story from the Book of Numbers, in which Moses’ sister, Miriam, is struck with leprosy as a punishment for criticizing her brother, as the story that initially sets up this connection between sin, illness, and shame (see Numbers chapter 12). What Dr. Friedman describes is a difficult theological situation in ancient Judaism, one in which God is held responsible for illness, which is often seen as a punishment for sin. To be ill, then, is a source of shame, a sign that one has been involved with sin. Because the ancient perspective focused more on the family or community as the basic unit of society, the shame of illness touched one’s other relationships. At the same time, ancient Judaism encouraged “compassion and community support” toward the sick, and Dr. Friedman points out that later Jewish texts (written after the time of Jesus) insist on the importance of calling on the sick as a moral obligation. People, it seems, were caught in a tension that was difficult to resolve between the shame of illness and the importance of showing compassion. In the perspective of the gospels, the shaming power of illness often ended up being stronger than the imperative for compassion, for many — perhaps most — of the people whom Jesus heals are people who have clearly suffered separation from their families and communities. 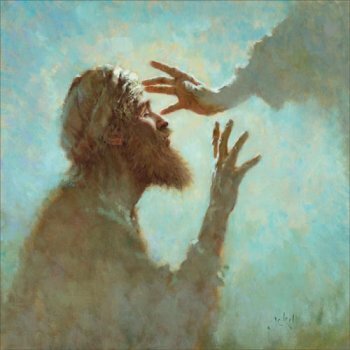 It is also the case that the illnesses that Jesus encounters most frequently in the gospels are those that carried the greatest burden of shame in his time (skin diseases, physical deformities, blindness, oozing of bodily secretions, those illnesses that were interpreted as demonic possession, and the like). When we understand the connection between shame, sin, and illness in the time of Jesus, then we are able to see his healing ministry in an entirely new way. The healings that Jesus performed were not so much about curing physical or psychological illnesses as they were about healing the shame and sin that accompanied them. To be sick in the time of Jesus not only brought the burden of the illness itself, but also brought the judgment of others upon the patient. If we recognize the parabolic shape of Jesus’ life and ministry — and accept the implication of that, namely, that we always need to be looking deeper than the surface of what Jesus does and says — then it becomes clear, I think, that what Jesus is doing in his healing ministry goes beyond dealing with illness. In subverting the connection between shame, sin, and illness, Jesus is subverting narratives of shame wherever they are found, whether they are associated with illness or not. And, he is subverting the idea that God is involved with shame. The healing ministry of Jesus makes clear that God is not involved with shame; that God is not involved in categorizing people; that God does not inflict punishment. And this challenges us to explore how we may be involved, as individuals and as church, in perpetuating narratives of shame that isolate and exclude, often in the name of God.